The first of 4 gift packs from one of the main sponsors of the National Queen Show was presented on Tuesday morning to Ms Samantha Francis — the winner of the National Queen Show. 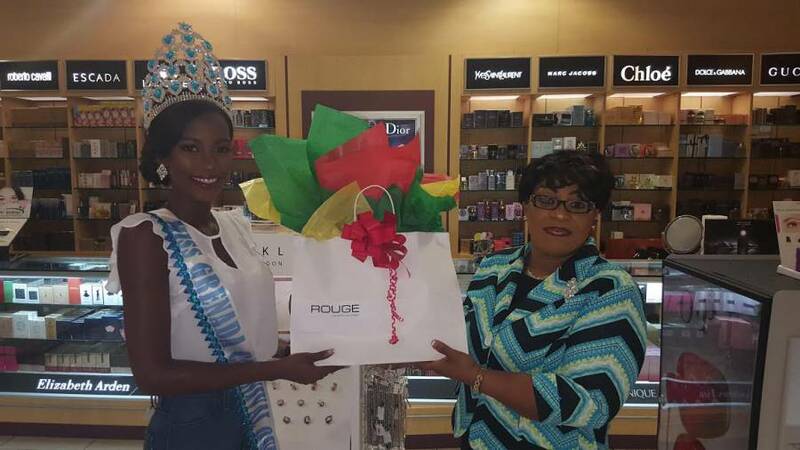 Mrs Cheryl Croney, Country Manager for Rouge Dutyfree Ltd in Grenada in presenting the gift bag of a 1–year supply of designer fragrances, congratulated Ms Francis on her achievement and wished her success in her future endeavours. As a major partner with the Spicemas Corporation for Carnival 2017, Rouge Dutyfree Ltd was the platinum sponsor for the National Queen show. The company’s prize to the winner included a Lancaster 594 diamond watch valued at EC$15,000 and a range of other products to the value of EC$25,000. 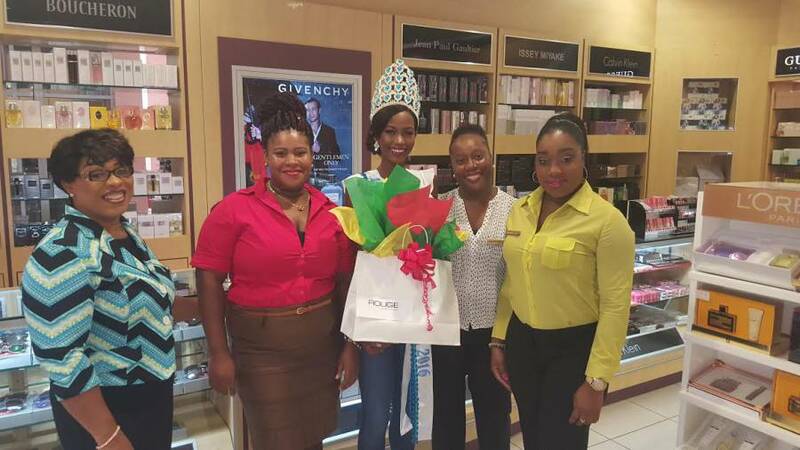 Besides her gift pack from Rouge, which operates at the Spiceland Mall, Ms Francis’ prize also includes a 4–year scholarship to attend St George’s University. She will be pursuing studies in nursing. The National Queen show, with a contestant from each parish, was held on the night of 4 August. Ms Francis won every title — a record in the history of the National Queen competition. She is expected to represented Grenada in a number of upcoming regional pageants.